Situated between Gloucester and Tewkesbury this laminate flooring job presented some unique challenges. The unusual first floor conservatory which had originally been a flat roof, suffered a water leak over the years, which damaged the subfloor to such a degree that we were asked to replace the entire chipboard subfloor as well as replace the finished floor covering. The client specifically wanted a hard wearing and high quality wood design for the finished floor in a trendy modern colour. Our years of experience told us to recomend QuickStep Laminate Flooring. We've used QuickStep Laminate Flooring for over 20 years due to its popularity, excellent appearance, quality and reliablity. Problems are virtually un-heard of making it a winner for everyone concerned. The work was carried out quickly, cleanly and in a timely maner to suit the customers needs and the finsihed floor looks great I think you'll agree. Find out a bit more about the jobs we have done for our customers. Who are we?... Get to know the team. 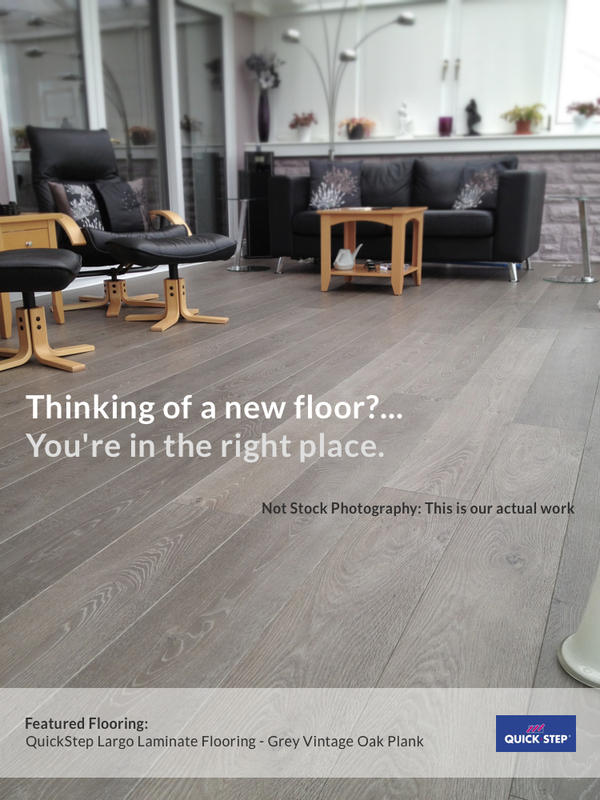 A personable family run flooring business operating in gloucestershire with 40 years combined experience in all types of flooring. We pride ourselves in providing a professional, reliable & friendly flooring service and offer FREE home or work place sample selection at a time to suit you. 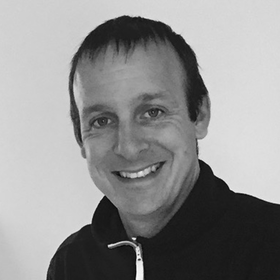 Simon Dixon is Proprietor & Floor Layer to Dixons Carpets & Flooring and has almost 20 years experience as a floor layer. His experience helps customers to make informative decisions which result in the best possible finish on every job. Prior to this, Simon worked as a Carpenter gaining skills which have proved valueable when laying Wood Flooring and Tiling. Chris is a partner to Dixons Carpets & Flooring. He previously operated his own flooring business independantly for many years before deciding to combine forces with Simon. 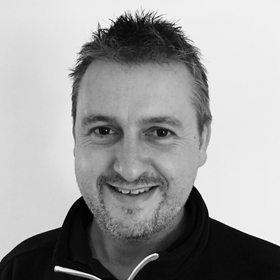 Chris has a complete range of skills from measuring, estimating and job sheduling, right through to floor laying and job completion. 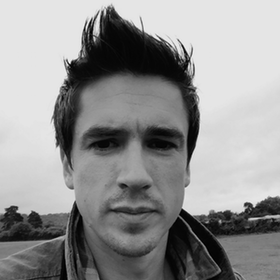 Ben is Brother to Simon and comes from a Carpentry background. This experience is particularly useful when Tiling, laying Wood Flooring, fitting Skirting or adjusting Doors. 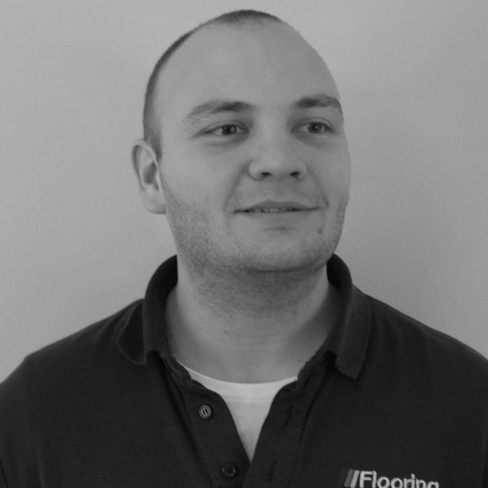 Ben has been fitting flooring for Dixons Flooring for more than 8 years. We feel its important to select a floor covering in the environment its actually going to go in to. Thats why we bring the samples to you. Not to mention it allows us to beat showroom prices! When?... We wont keep you waiting. We provide a FREE home or office sample selection service at a time that suits you! Why us?... Ask our customers. A difficult and unusual flooring job very well done. Excellent service and after-care. Very knowledgeable and experienced. Essentially the best tradesman I have ever encountered and thoroughly recommend.